"Carl Foster was diagnosed with Ocular Melanoma six years ago and was treated with radiation beam therapy which stopped the cancer and put him into remission. He continued to go for his six month liver check ups until the five year mark when they cut down to yearly check ups. He got his liver checked last April of 2011 and was fine. It wasn't until June of this year where he started having pain in his side from the tumor pressing down on his pancreas. The cancer had metastisized to his liver and though there are exploratory treatments, none have proven successful. By the time the tumor was found and biopsied, it had progressed too far and he was no longer eligible for any of the possible clinical trials. The cancer was fast moving, killing his immune system and sending him into organ failure. He is survived by his wife, his daughter, two sisters, one brother, both of his parents, and various extended family members." 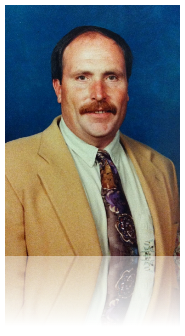 TEWKSBURY -- Carl W. Foster, Jr. age 57, a Tewksbury resident for 30 years, passed away on Sunday, August 19, 2012 at the Lowell General Hospital. He was the beloved husband of Patricia A. (Dowd) Foster, with whom he would have celebrated their 24th wedding anniversary on September 30, 2012. He was a wonderful Dad to his daughter Erin and spent endless hours watching her play sports, sharing activities, and always being there for her. Born in Beverly on January 17, 1955, he was the son of Carl W. Foster and Lee (Emerson) Foster, who survive him, of Middleton. Carl was raised in Beverly, attended Beverly schools and graduated as Valedictorian from Beverly Technical High School. He later attended North Shore Community College. Carl was a Master Councilor for Demolay. In 1973, he enlisted in the U.S. Army. Carl served during the Vietnam War in the 82nd Airborne Division. He was awarded several decorations for his military service including the National Defense Service Medal, the Parachute Badge and the M-16 Sharpshooter Badge. Carl was employed as a Senior Manager by the Tufts Health Plan, where he worked for the past 10 years. Prior to that, he worked at Prepress Solutions and Agfa Corporation. Carl resided in Beverly until moving to Tewksbury in 1982. Carl enjoyed traveling, golfing, fishing and went on numerous camping trips with his family. But Carl's real passion was working in his yard and tinkering in his barn. He could be found fixing anything from his lawn mower to a hair dryer. Friends often called him to ask "Carl, how can I fix this and do you have the tools." Carl also took daily walks with his pal and dog, Turtle. In addition to his beloved wife Patricia, he is survived by his daughter, Erin N. Foster of Tewksbury; his parents, Carl and Lee Foster; two sisters, Linda Nunes and her husband Jorge of Beverly and Judy Gnoza and her husband Greg of Middleton; one brother, Robert "Jay" Foster and his wife Nancy of Woburn; also several nieces and nephews. FOSTER -- Carl W. Relatives and friends will be received Friday, Aug. 24, from 4-8 p.m., at the Farmer & Dee Funeral Home, 16 Lee St., Tewksbury. At the request of the family funeral services will be private. Donate to the Ocular Melanoma Foundation in memory of Carl Foster. 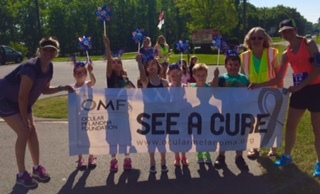 If you have any questions or want further information about Warrior fundraising with OMF, please email info@ocumel.org.